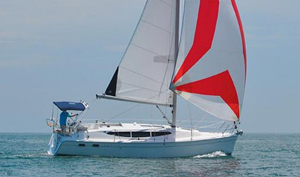 If you are "handy" around boats and are looking for a bluewater experience "Freedom II" should be on your short list. See full specs for detailed inventory. We have an older survey on file. Offers will be considered. Please don’t hesitate to contact Chris Power for more information. Classic lines on this rare freshwater Sparkman and Stephens designed yacht hearken back to a bygone era when sailing ships were designed and built with sea kindly motion and graceful passage making in mind. She won’t sleep twelve in eight private cabins, but she will take you and a few guests anywhere you want to go, in almost any weather you want to go. 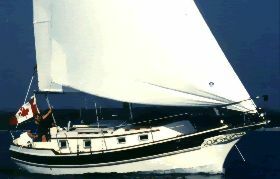 Sails include (Main, Furling Genoa, Spare 150% Genoa, Mizzen, Gale), 55hp Volvo diesel and systems (transmission, prop shaft, exhaust, etc. ), good upholstery, wiring and more. She has plenty of cruising gear including 300′ of chain hooked to a 50lb plough anchor and retrieved by an electric windlass, with a stainless CQR as a spare. 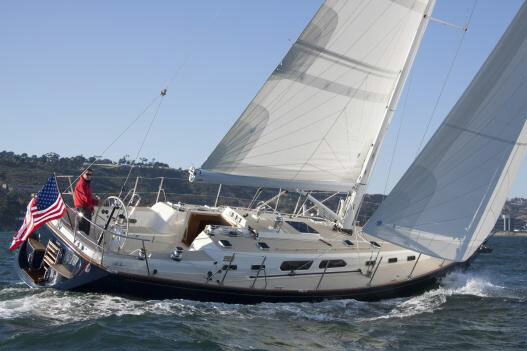 She has a unique factory built hard dodger and bimini with Isinglass panels that can enclose the dodger when it's raining or storming. Walker Bay 10' hard dinghy & outboard. - Will sleep a total of eight in private forward and aft staterooms, each with their own head, two single salon berths, and a mid cabin single. All berths have been reupholstered 2010. - Interior finished in rich oiled teak. - Salon is finished in beautiful oiled teak, has been freshly upholstered, and is very bright, surrounded by ports and a massive opening hatch. - Aft cabin can be accessed via an inside hallway or through the cockpit. 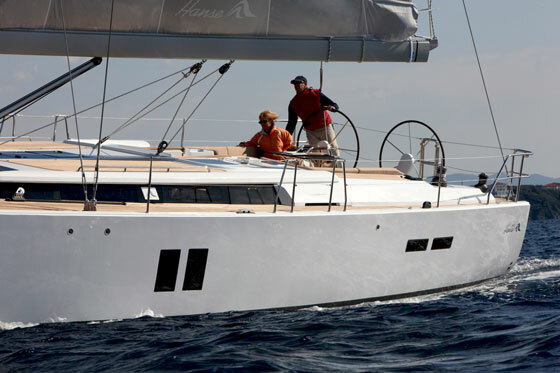 - Cockpit with hard dodger and hard bimini can be fully enclosed with snap on Eizenglass (plastic) panels. Seats are long enough to lay on and are covered with cockpit cushions. 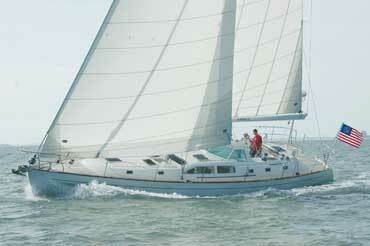 - All new sails include Main, Mizzen, Roller furling genoa, spare 150% genoa & Gale. - Heavy-duty keel stepped mast. 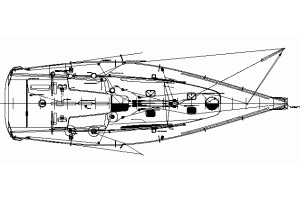 - Electric windlass with 300′ of chain and 50lb plough anchor and stainless CQR anchor. - 2013 Walker Bay hard dinghy with older 2-stroke 5hp outboard.